When will be Island Explorers next episode air date? Is Island Explorers renewed or cancelled? Where to countdown Island Explorers air dates? 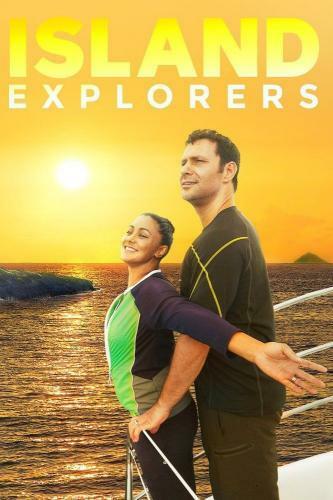 Is Island Explorers worth watching? Wendy Gilbert is a native of Hawaii, while her adventure-loving husband Jeremy is a transplant from the mainland who's eager to take advantage of everything the Hawaiian Islands have to offer. In each episode, the couple will dive into one island, exploring its most spectacular sights, biggest adventures, best beaches and most enticing places to eat. Wendy and Jeremy go beyond Oahu's popular attractions to explore the island's hidden treasures. Jeremy and Wendy take on the island of Hawaii and showcase the best the Big Island has to offer. Jeremy and Wendy ditch the hotel scene to take on the adventures, culture and cuisine of Kauai. Wendy and Jeremy discover that the real Maui is all about exploring the road less traveled. Island Explorers next episode air date provides TVMaze for you. EpisoDate.com is your TV show guide to Countdown Island Explorers Episode Air Dates and to stay in touch with Island Explorers next episode Air Date and your others favorite TV Shows. Add the shows you like to a "Watchlist" and let the site take it from there.